Margaret E. Ensminger, Ph.D., interests include life span development and health; poverty and health; childhood and adolescence; social structure and health; substance use; aggressive and violent behavior. She has been following a cohort of children from an inner city neighborhood, first seen when they were in first grade. They have been assessed at age 42. Their mothers were interviewed for a third time as they are about at retirement age. She and her colleagues have been examining the early individual, family and neighborhood antecedents to both healthy and unhealthy outcomes for the cohort of former first graders and their mothers. 1996 Membership in Public Health Alpha Chapter Delta Omega Honorary Society. 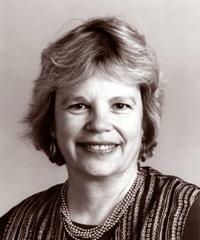 1978 Patricia Lynn Baker Award for 1978, University of Chicago, Year's best social science paper on social science and social policy. 1973 Honors on Ph.D. Special Field Examination Psychiatric Sociology, University of Chicago. 1971-1973 Fellowship, Food Foundation Urban Study Program, University of Chicago, Department of Sociology. 1965 Honors on M.A. Examinations, University of Nebraska. 1964-1965 Fellowship, University of Nebraska. Fothergill, K. E., Ensminger, M. E., Green, K. M., Kasper, J. D., Robertson, J. A., Thorpe, R. J., & Juon, H. S. (accepted). Living arrangements among African American mothers and their later health. Journal of Marriage and Family. Ensminger, M.E., Juon, H., & Green, K.M. (2007). Consistency between adolescent reports and adult retrospective reports of adolescent marijuana use: Explanations of inconsistent reporting among an African American population. Drug and Alcohol Dependence, 89(1), 13-23.